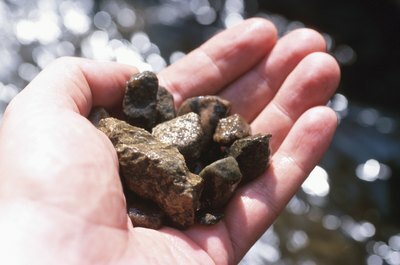 Geologists are passionate about rocks, minerals and precious gems. Geologists do a lot more than simply study rocks. These scientists devote their lives to analyzing the materials that compose the Earth's crust and use their findings to develop theories about the natural history of the planet. But you can't just walk outside and start collecting rocks in your backyard and call yourself a geologist. There are some basic requirements all geologists must meet to get started in this field. According to the U.S. Bureau of Labor Statistics, or BLS, a bachelor's degree is the minimum educational requirement for entry-level positions in geology. For high-level research positions and college teaching jobs, a Ph.D. is required. Ideally, your degree should be in geoscience, or geological science, though a degree in another science discipline, computer engineering or math may also be acceptable -- so long as you have taken enough electives in geology. In a geoscience program, you'll take a diverse set of courses covering many topics related to geology, including earth history, mineralogy, petrology, sedimentation and geochemistry. Courses in geology will provide you with a strong foundation of knowledge in geological science, but they won't necessarily provide you with hands-on experience. The BLS reports that most employers prefer applicants who have field experience, so it is essential that you seek out these opportunities while earning your degree. Field work opportunities may be available through summer field camp programs or internships. The Geological Society of America provides aspiring geologists with a list of summer programs and internship opportunities that will put you in the field to learn alongside established geologists. Summer programs will help you gain research experience and can help you hone your writing skills. 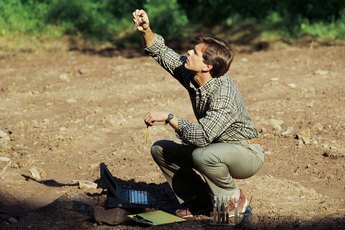 Some states require geologists to obtain licenses in ord,er to work. Requirements vary by state, but usually a combination of education and experience, as well as a passing score on a state exam, are needed. For example, Washington state requires geologists to have a degree in geoscience, at least five years of verifiable work experience in geology and a passing score on the exam. Certification is a voluntary practice in geology, but can help you stand out as a professional and showcase your knowledge and expertise in the field. A number of certifications are available through state and national geological associations, including specialized certification in subfields of geology. For example, the American Association of Petroleum Geologists offers the Certified Petroleum Geologist, CPG, or the Certified Coal Geologist, CCG credentials for geologists who work with petroleum or coal. Requirements vary depending on the institution, type and level of certification, but are generally based on education, experience and passing an exam. While education and experience will definitely help you get started in this field, you'll need specific skills and traits to truly succeed. Geologists must have strong critical thinking and complex problem solving skills to observe and evaluate the data they collect. Communication skills are essential when working as part of a team or presenting your findings to an audience -- whether they be in person at a lecture or in an academic journal article. A lot of your work will be conducted through computers, so the better your computer skills, the more successful you will be. 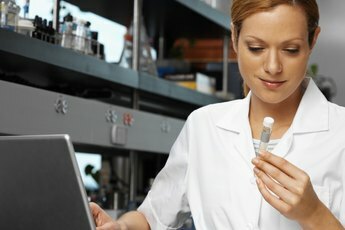 You must be proficient in using scientific and analytical software, computer-aided design software, database query software and map creation software. Additionally, you'll need physical strength and stamina to handle long hours working in the field in all kinds of weather conditions. American Association of Petroleum Geologists: Why Become a Certified Petroleum Geologist, Petroleum Geophysicist or Coal Geologist? What Kind of Tools Does a Geologist Use? Do Paleontologists Need a License? What Is a Hydrometeorological Technician? What Is the Work Environment for an Oceanographer?